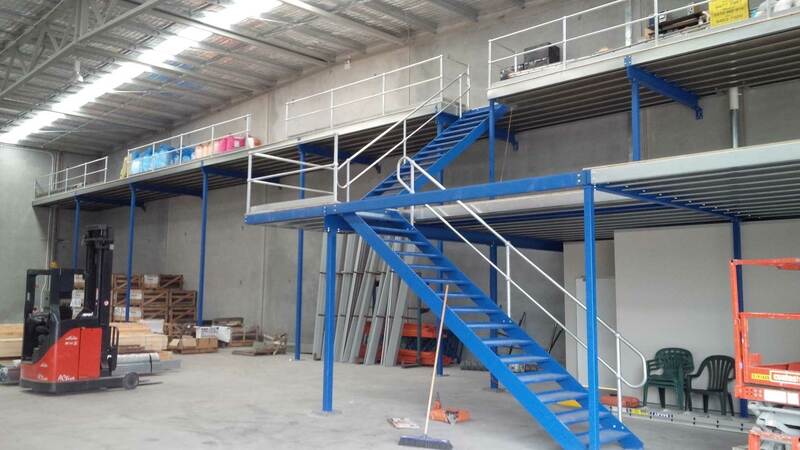 industrial mezzanine stairs that get you on your mezzanine floor safely and efficiently. Stairs are a key feature of your mezzanine floor. That’s why they have to be strong enough to support your team members and the load they carry. Our team designs each staircase to engineering standards, providing a wide range of options on high quality materials to meet your requirements and to ensure the safest and most efficient staircase. 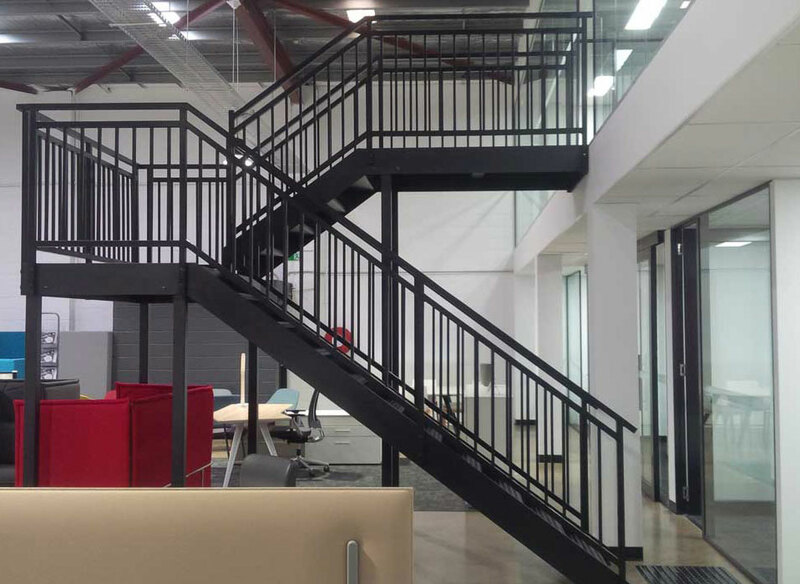 As leading mezzanine floor manufacturers in Australia, Adex Group builds industrial stairs according to Australian standards. Our experts put a premium on your team’s safety. 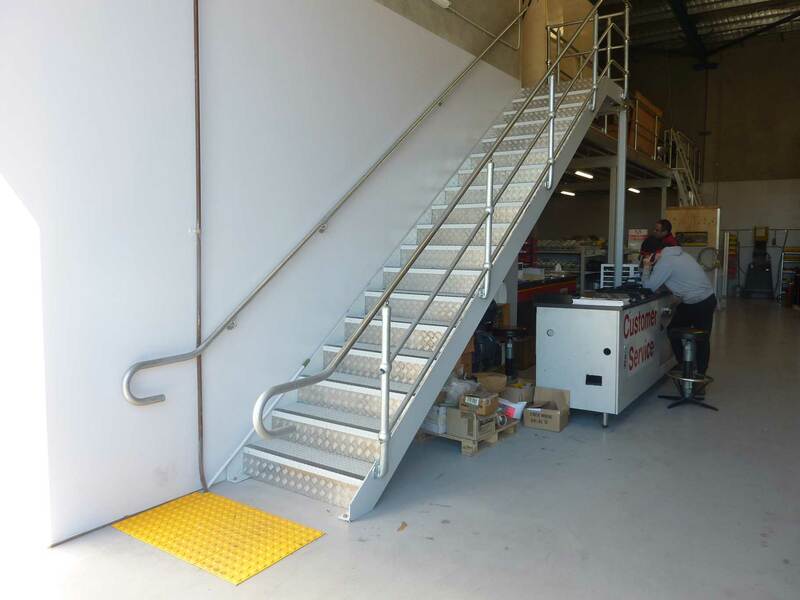 Our industrial stairs sport safety features that guard your team against injuries. We design handrails either on one or both sides of the stairs, according to building standards. This paves the way for a safe and easy climb. For landings and treads, we ensure the right material is used to reduce the risk of injury on the stairs. We don’t want bulky structures to stand in the way of your team. We build efficient, space-saving and clean industrial stairs for warehouses. Our team studies the raised platform and determines the most efficient incline of the stairs. We also see to it that the treads sport an ideal width for transferring items from the ground floor to the mezzanine. Although we want to save space, we do not compromise the safety or efficiency of your team.